Duct Seal Weatherproof Compound 5 lb. 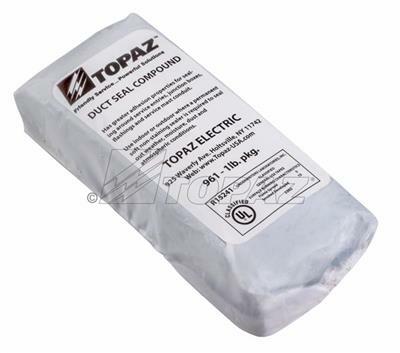 To form water and airtight seals around junction box flashings, Topaz’s Duct-Seal Weatherproof Compound can be easily formed into any shape and will securely adhere to clean surfaces. UL approved, permanently soft, nontoxic, noncorrosive to metals or plastics and asbestos free; sold in wrapped one or five pound packages.